What's the Difference Between a Pave & Micro Pave Setting? What’s the Difference Between a Pave & Micro Pave Setting? One of the most popular and trendy styles for engagement rings features a design element called pavé. While the fancy French term might suggest extravagance, the real meaning draws a clear picture of this setting style’s surprising inspiration: pavement. A pavé or micro-pavé setting features a line of either diamonds or gemstones set deep within the grooves of the band to create a seamless look that resembles the cobblestone pavement of a road. According to an article in the Financial Times, which quoted jeweler Jessica Poole, the setting type was fashionable during the 1940s. As all trends come back en vogue, pavé became a trendy must-have setting during the 1970s. However, as Poole noted in the article, the way jewelers paved the stones has evolved. Traditional pavé allows the prongs that hold the stone to be more noticeable, Moore told the Times in the article, while the more contemporary micro pavé looks more seamless. Prong prominence is the only notable difference between micro-pavé and pavé. While both settings feature diamonds and gemstones within the band or setting, micro-pavé settings style more delicately with smaller stones. 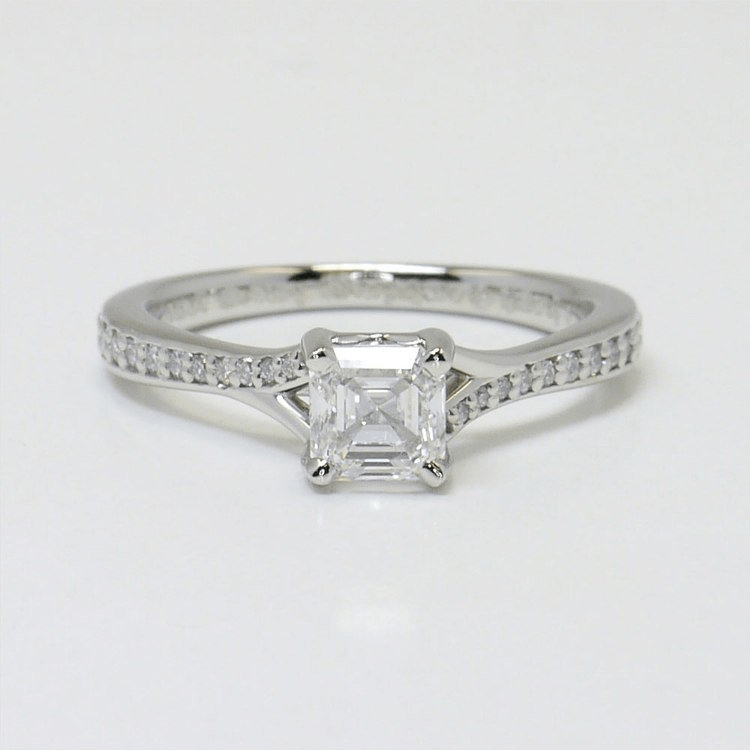 Since the prongs in a traditional pavé setting are more prominent they also may offer more protection, so this setting style may be the best choice for larger carat diamonds. However, the designs are identical in every other way. So how do you choose between the more metallic pavé and the subtle and streamlined micro-pavé detailing? As pavé typically features more visible prongs, it also can hold heftier diamonds than a micro setting. For this reason, the pavé design style may be more expensive than the daintier micro-pavé details. If you want this look but don’t have a larger budget, then opt for the more budget-friendly micro-pavé. While pavé is a great choice for more sparkle, to add pops of color or to create bolder looks, micro-pave offers just a glint of detailing and sparkle. The micro details are less dramatic, more demure. 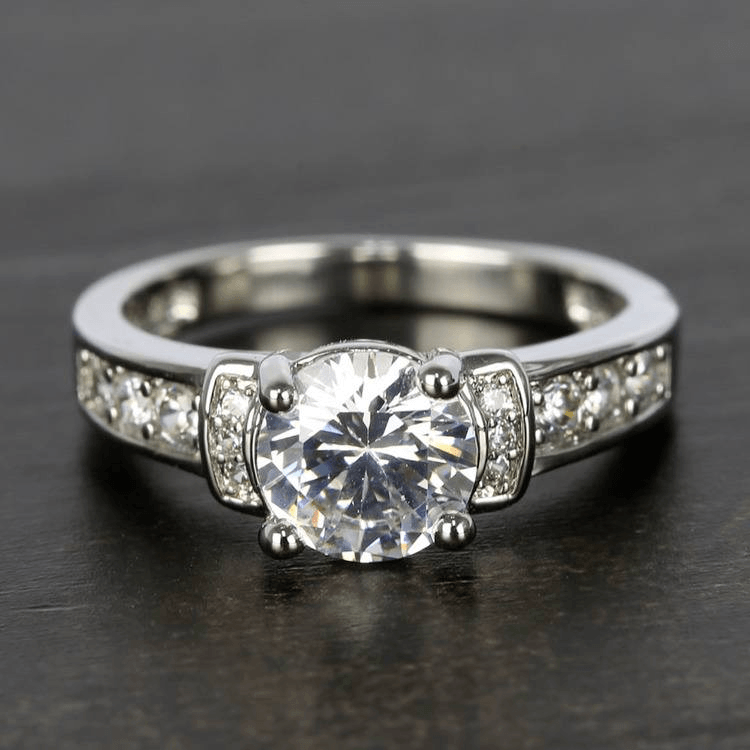 Both are beautiful ways to incorporate intricate details and add interest to a ring, but, ultimately, the setting choice depends on budget, style and preference. Pavé and micro pavé details are not limited to sparkling streets within a ring; these design elements also can be used for halos that surround a centerpiece stone. A pavé or micropavé halo creates a sparkling roundabout of gems or diamonds around the center stone; this halo design is used to add carat weight to the centerpiece or may just be used as a frame to draw the eye to the dominant stone. The beauty and popularity of pavé or micro-pavé details is driven by the cobblestone continuance of these design elements. Embracing this trend works best when all the stones are of similar color and size; this creates the streamlined beauty that defines micro-pavé. However, as styles have evolved, including the interpretation of pavé or micro-pavé details. Traditional pavé and micro-pavé settings feature one type and hue of stone. All diamonds used must be a similar color grade and size when used in a pavé setting, and the same rule applies for colorful gemstones. Cabochon cuts of stones and pearls may be used for pavé or micro-pavé details, and while these aren’t traditional choices for the setting, this nontraditional translation nods to vintage glamour. Pavé pearls may also be used to create a soft halo around any stone and to create an antique cameo inspiration. Today’s pavé settings also often veer from tradition, and many buyers use alternating hues of stones to create dramatic pavé designs. 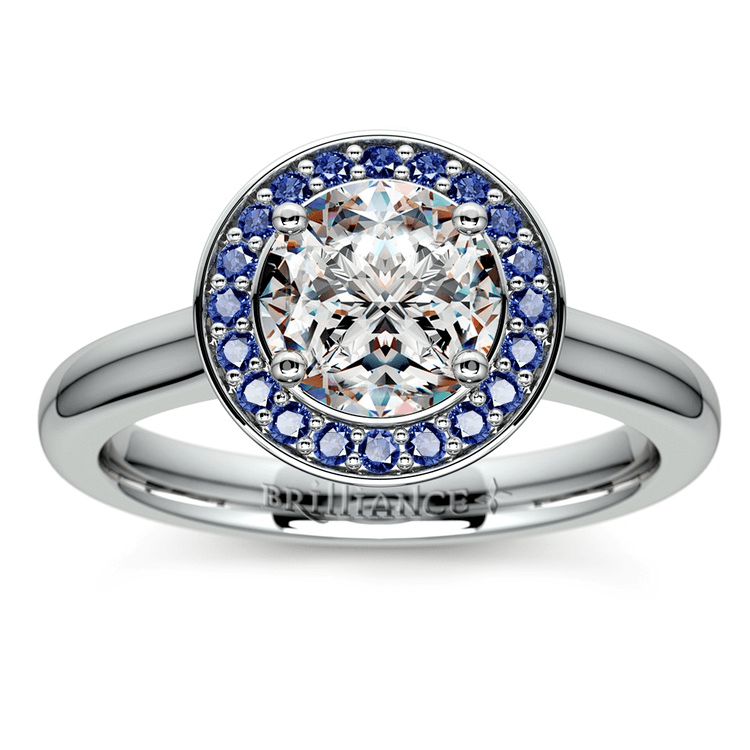 Choose white diamonds and colorful gemstones to create pavé patterns within a band. Use numerous hues or just two contrasting stones. Pavé is French for pavement, and this setting style can be used to create dazzling details that showcase a ring’s show-stopping centerpiece stone. While traditional pavé settings offer a more dramatic cobblestone appearance, micro-pave settings can be used to create more diminutive details. Both styles are beautiful, trendy and add dimension to the ring, but the choice between the traditional pavé and the smaller micro-pavé is all about personal style and budget. No matter what setting style you choose for a ring, pavé details pave the way for beautiful and timeless engagement rings.